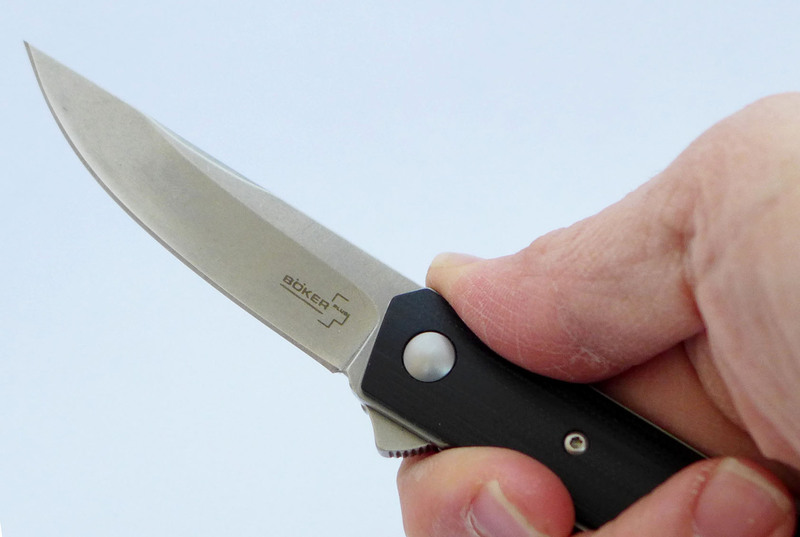 A German brand you’ve probably never heard of has a knife that may crack the U.S. market. The Kwaiken is one of the most popular, best selling styles of knife on the market right now. There are no fewer than seven different versions of the style from various brands. Boker’s version is based on a handmade knife by Lucas Burnley, which comes in three flavors (Standard, Flipper, and Mini). My personal favorite is the Mini ($190). Boker is a giant brand. 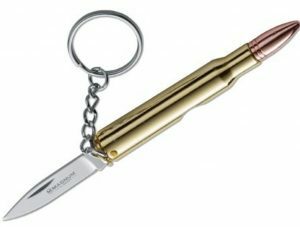 It makes thousands of models, from kitchen knives, to weird novelty blades like the Pocketknife Magnum 30-06 Bullet Knife (no kidding). It also makes quality pocket knives. Despite the brand’s hit-or-miss past (and present), its Kwaiken line has always been solid, if not always perfect. 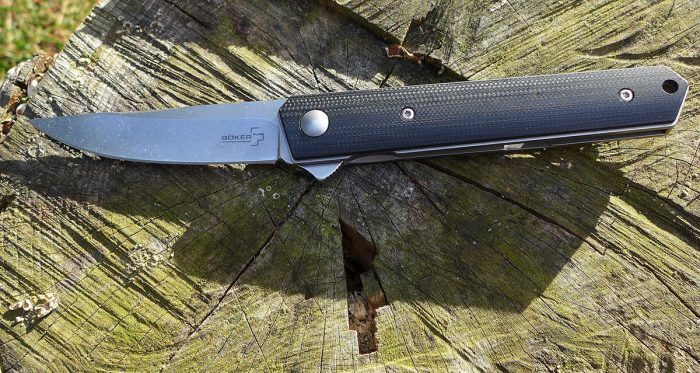 It’s clear that Boker wants to turn a corner with its outdoors products, even if it still makes a ton of flea market knives. So what is it about this simple stick design that demands the attention of knife “knuts” everywhere and has helped a previously forgotten brand revitalize its image? Quite Simply, the Kwaiken perfectly captures old and new in a unique and elegant package. The Kwaiken is a knife with a single curve — the cutting edge. Everything else is composed of straight angular lines. For such a blocky-looking thing, the knife is great in the hand. While this is in part due to the contoured handle scales, it also has to do with the simplicity of the shape. Lacking finger grooves or other “helpful” obstructions, you can hold the Kwaiken anyway you want, and it feels just right. Plus, a bearing pivot makes for exceptional flipping action. While good, this is not a perfect knife, despite how fun it is to carry. Earlier models had some poor fit and finish, resulting in an exposed blade tip in the closed position. The Burnley original required insanely precise manufacturing to function properly, and Boker, even now, is challenged by fit and finish. Newer models seem to have fixed this problem. Having owned a couple of Kwaiken models, I can tell you the Boker Mini is my favorite by far. It has the best fit and finish of any Kwaiken I handled (no sharp exposed tip problem) and it’s just the right size for everyday carry. The bigger ones, especially the titanium models, get very heavy for the size. Also, the small version has absolutely necessary jimping (a small run of traction grooves) on the flipper tab, which drastically improves grip on the knife.. Check out this knife from Boker if you’re looking for a slick EDC blade.